We’ve had an email from Carly Page who ‘blogs’ at somobile.co.uk (I think that’s an e-retailer? 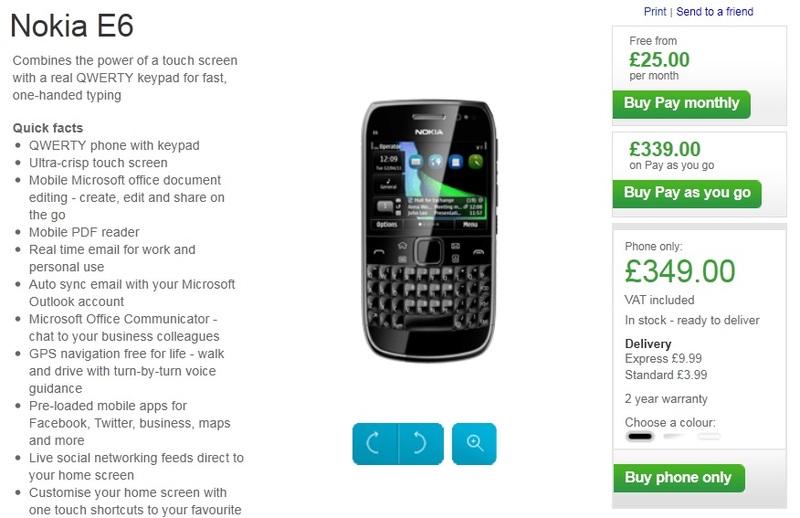 They’re got an interesting tariff finder, lets you choose minutes/text/data/contract length and price – no we’re not being paid to say this) to say that the Nokia E6-00 seems to be available for UK customers. Unlocked it’s at £349.00. Note that Nokia’s unlocked price is generally much higher than other retailers. 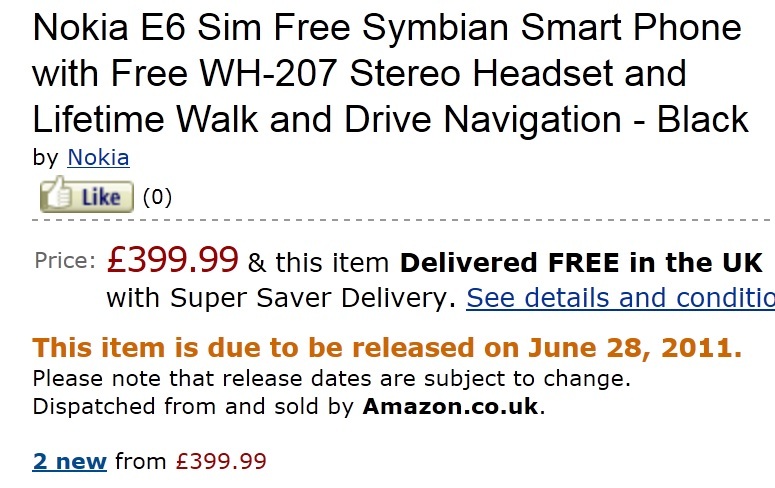 Having said that, it’s £50 cheaper than Amazon UK’s current price and their stock doesn’t seem to be available until June 28. Do you reckon that’s when the rest of the retailers in the UK might stock this? I’m not aware of the situation in other countries. Last week HaugMedia tipped to say that in Italy, both X7 and E6 were available on shop floors.